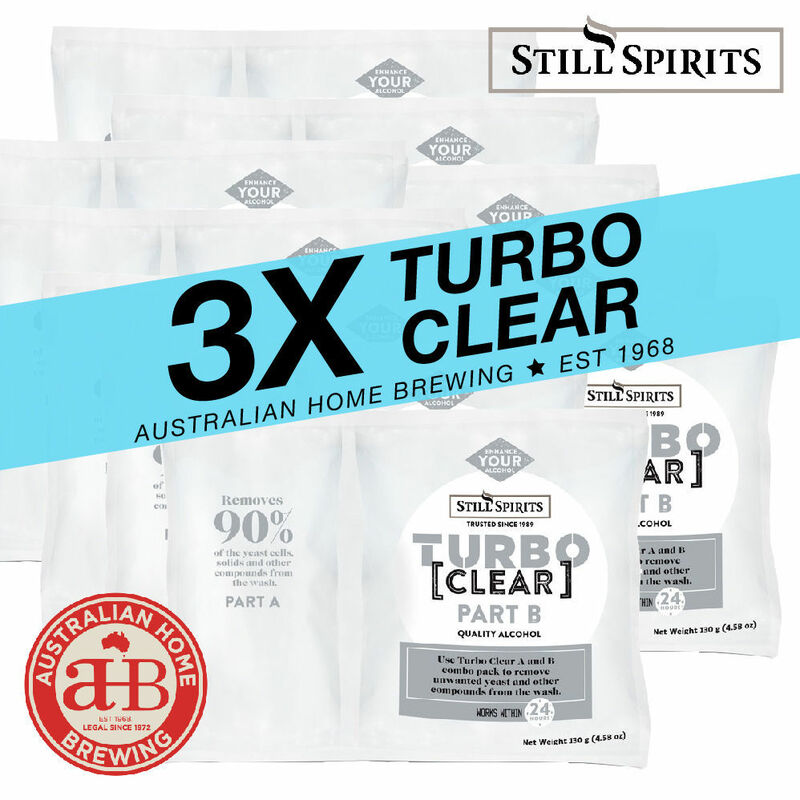 enough to make 3 x 25L batches of wash. 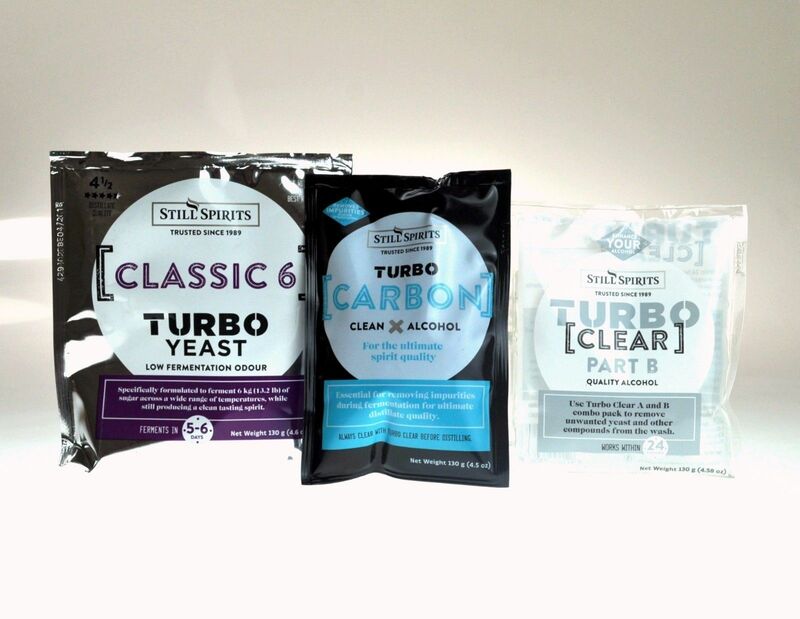 Choose this pack if you want the best performing most robust and most versatile yeast to make excellent quality alcohol. This yeast is designed to be made with 6kg of sugar for a higher quality spirit. 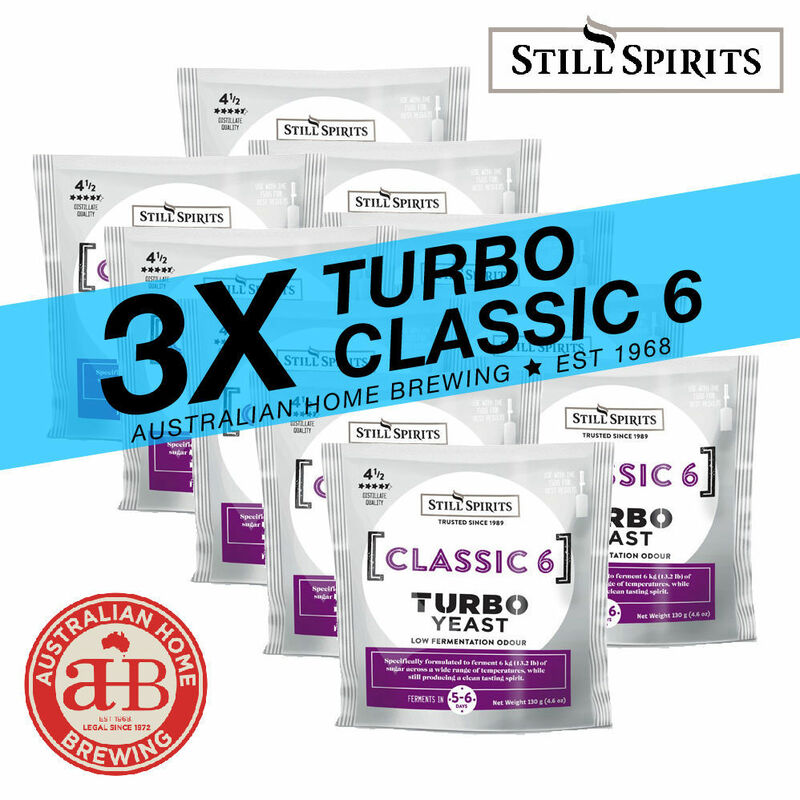 It has a broad temp range of 15-30 degrees. 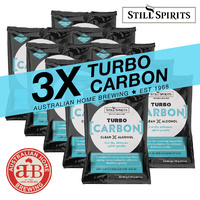 It also contains Turbo Carbon to clean & filter the wash during fermentation and Turbo Clear to remove the unwanted yeast cells after fermentation. 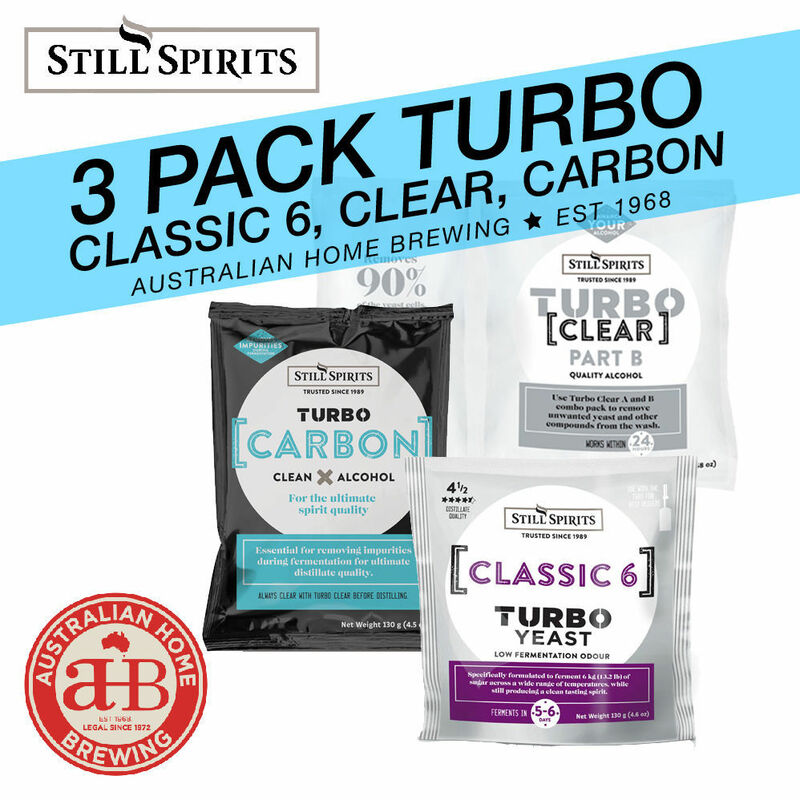 As with all Turbos adding Turbo carbon and Turbo Clear will significantly improve the quality of your finished spirit no matter how good your still is. 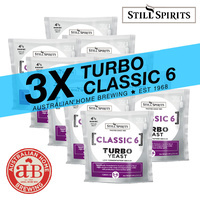 Classic 6 is designed to be made with 6kg batches, it has a low fermentation odour and will ferment very successfully across a wide range of temperatures whilst producing a superior clean tasting spirit.. Smaller 6kg batches will produce 3.8lt approx at 93% in a T500 and the results will be very pure. .
We always recommend you use Turbo Carbon & Turbo Clear as it will significantly improve the performance of all Turbo Yeasts.